It is yet another weekend and we know the 2019 elections has comfortably occupied a better part of everyone’s Saturday, but not to worry, there are still interesting events to look out for. 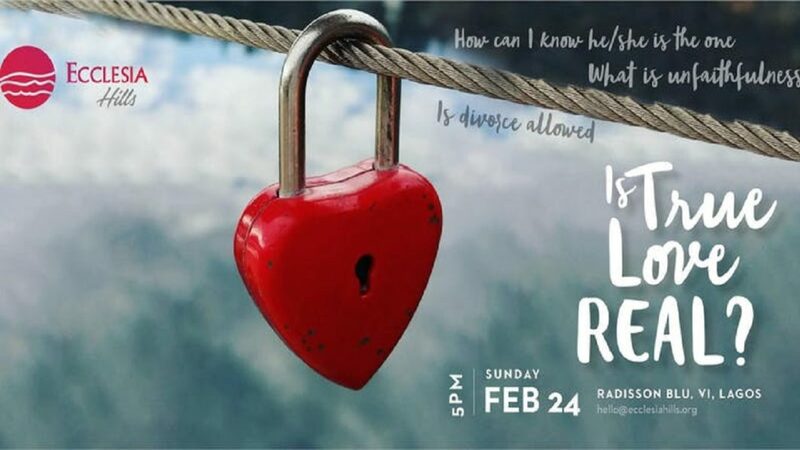 Ecclesia Hills Presents “Is True Love Real”? This last Valentine’s day everywhere was full: Gift shops, Restaurants and Parks. Does St Valentine’s Day mean Love is Real? Is Love a ruse, a joke or a mirage? This event will discuss this and more. Venue: Radisson Blu Hotels, Victoria Island Lagos. 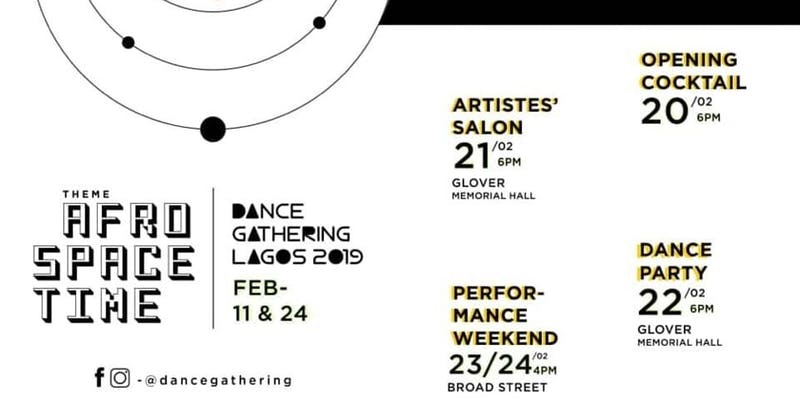 The third edition of Dance Gathering themed AFROSPACETIME is scheduled to take place this weekend. It has successfully gathered 75 artists, which are dancers, choreographers, visual artists, philosophers, scholars, DJs, Ifa Priests, art historian, filmmakers, multidisciplinary artists, community organizers, curators, architects, photographers, performance artists, writers, singers, emcees, drummers, musicians, producers, and other in-classable mutants. All of these artists are coming from 25 cities across the globe, from countries including Nigeria, Ghana, Uganda, South Africa, Ethiopia, Benin Republic, Senegal, Dominican Republic, Nederland, UK, France, Germany, Spain, Poland, Brazil, Uruguay, Chile, Jamaica and the USA. The first viewing of South African film -Baby Mamas – in Nigeria is set to hold this weekend at Filmhouse Cinemas’ in Oniru, Lagos. The movie follows the daily lives, love, and drama of four professional women – who are all in different stages of their own real baby mama drama. Venue: Film House, Oniru, Lagos.